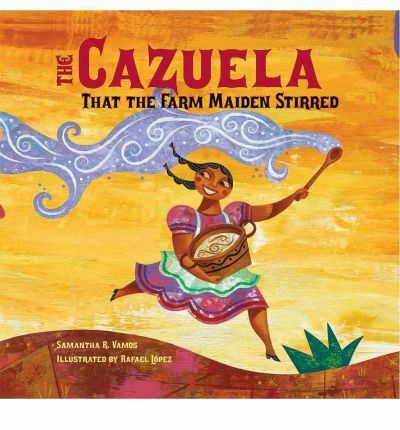 Our Cover to Cover Book of the Month for March is The Cazuela That the Farm Maiden Stirred by Samantha R. Vamos. This book is full of repetition which a is great for memory and expanding vocabulary. See if your child can remember all the different ingredients that go into the delicious recipe of arroz con leche. Food is an important part of our culture! Preparing and cooking food is a wonderful way to bring families and friends together. In The Cazuela That the Farm Maiden Stirred, all the characters come together to prepare their favorite pot of arroz con leche. Talk with your child about foods that are important to your family. Send a picture of you and your child preparing ants on a log. Be creative! We can’t wait to see what you loved about The Cazuela That the Farm Maiden Stirred.